Researchers have identified a distinction, often intuitively recognised by instructors, between meaningful and rote learning (Asubel, 1978). Meaningful learning involves the learner going beyond memorization and surface comprehension of facts, ideas or principles, to a deeper understanding of what those facts, ideas or principles mean to them. Marton and Saljö, who have conducted a number of studies that examined how university students actually go about their learning, make the distinction between deep and surface approaches to learning (see, for instance, Marton and Saljö, 1997). Students who adopt a deep approach to learning tend to have a prior intrinsic interest in the subject. Their motivation is to learn because they want to know more about a topic. Students with a surface approach to learning are more instrumental. Their interest is primarily driven by the need to get a pass grade or qualification. a lack of interaction and discussion. assessment based on analysis, synthesis, comparison and evaluation. Laurillard (2001) and Harasim (2010), have emphasised that academic knowledge requires students to move constantly from the concrete to the abstract and back again, and to build or construct knowledge based on academic criteria such as logic, evidence and argument. This in turn requires a strong teacher presence within a dialectical environment, in which argument and discussion within the rules and criteria of the subject discipline are encouraged and developed by the instructor or teacher. Laurillard calls this a rhetorical exercise, an attempt to get learners to think about the world differently. Conversation and discussion are critical if this is to be achieved. Constructivists believe that knowledge is mainly acquired through social processes which are necessary to move students beyond surface learning to deeper levels of understanding. Connectivist approaches to learning also place heavy emphasis on networking learners, with all participants learning through interaction and discussion between each other, driven both by their individual interests and the extent to which these interests connect to the interests of other participants. The very large numbers participating means that there is a high probability of converging interests for all participants, although those interests may vary considerably over the whole group. The combination of theory and research here suggests the need for frequent interaction between students, and between teacher and students, for the kinds of learning needed in a digital age. This interaction usually takes the form of semi-structured discussion. I will now examine how this kind of learning has traditionally been facilitated by educators. A seminar is a group meeting (either face-to-face or online) where a number of students participate at least as actively as the teacher, although the teacher may be responsible for the design of the group experience, such as choosing topics and assigning tasks to individual students. A tutorial is either a one-on-one session between a teacher and a student, or a very small group (three or four) of students and an instructor, where the learners are at least as active in discussion and presentation of ideas as the teacher. Seminars can range from six or more students, up to 30 students in the same group. Because the general perception is that seminars work best when numbers are relatively small, they tend to be found more at graduate level or the last year of undergraduate programs. Seminars and tutorials again have a very long history, going back at least to the time of Socrates and Aristotle. Both were tutors to the aristocracy of ancient Athens. Aristotle was the private tutor to Alexander the Great when Alexander was young. Socrates was the tutor of Plato, the philosopher, although Socrates denied he was a teacher, rebelling against the idea common at that time in ancient Greece that ‘a teacher was a vessel that poured its contents into the cup of the student’. Instead, according to Plato, Socrates used dialogue and questioning ‘to help others recognize on their own what is real, true, and good.’ (Stanford Encyclopedia of Philosophy.) Thus it can be seen that seminars and tutorials reflect a strongly constructivist approach to learning and teaching. The format can vary a great deal. One common format, especially at graduate level, although similar practices can be found at the school/k-12 level, is for the teacher to set advance work for a selected number of students, and then have the selected students present their work to the whole group, for discussion, criticism and suggestions for improvement. Although there may be time for only two or three student presentations in each seminar, over a whole semester every student gets their turn. Another format is to ask all the students in a group to do some specified advanced reading or study, then for the teacher to introduce questions for general discussion within the seminar that requires students to draw on their earlier work. Tutorials are a particular kind of seminar that are identified with Ivy League universities, and in particular Oxford or Cambridge. There may be as few as two students and a professor in a tutorial and the meeting often follows closely the Socratic method of the student presenting his or her findings and the professor rigorously questioning every assumption made by the student – and also drawing in the other student to the discussion. Both these forms of dialogical learning can be found not only in classroom contexts, but also online. Online discussion will be discussed in more detail in Chapter 5, Section 4. However, in general, the pedagogical similarities between online and face-to-face discussions are much greater than the differences. 3.4.3 Are seminars a practical method in a massive education system? 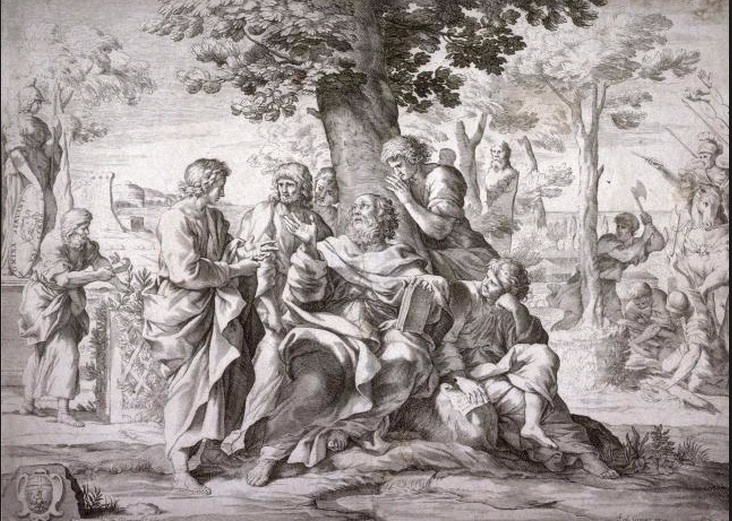 For many faculty, the ideal teaching environment is Socrates sitting under the linden tree, with three or four dedicated and interested students. Unfortunately, the reality of mass higher education makes this impossible for all but the most elite and expensive institutions. However, seminars for 25-30 students are not unrealistic, even in public undergraduate education. More importantly, they enable the kind of teaching and learning that are most likely to facilitate the types of skills needed from our students in a digital age. Seminars are flexible enough to be offered in class or online, depending on the needs of the students. They are probably best used when students have done individual work before the seminar. Of upmost importance, though, is the ability of teachers to teach successfully in this manner, which requires different skills from transmissive lecturing. Although expansion of student numbers in higher education is part of the problem, it’s not the whole problem. Other factors, such as senior professors teaching less, and focusing mainly on graduate students, lead to larger classes at undergraduate level that use transmissive lecturing. And if more senior or experienced instructors switched from transmissive lectures, and instead required students to find and analyse content for themselves, this would free up more time for them to spend on seminar-type teaching. So it as much an organizational issue, a matter of choice and priorities, as an economic issue. The more we can move towards a seminar approach to teaching and learning and away from large, transmissive lectures, the better, if we are to develop students with the skills needed in a digital age. 1. What kind of teacher interventions in group discussions can you suggest that could help learners develop deep, conceptual learning? 2. How could you reorganise a lecture class of 200 or more students to develop group work and the development of conceptual learning? 3.4 Interactive lectures, seminars, and tutorials: learning by talking by Anthony William (Tony) Bates is licensed under a Creative Commons Attribution-NonCommercial 4.0 International License, except where otherwise noted.